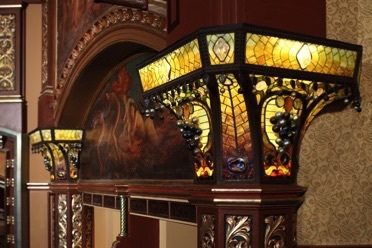 Designed by architect George Keister for impresario David Belasco, in 1907, the interior features Tiffany lighting and lay lights, rich woodwork and expansive murals by American artist Everett Shinn. 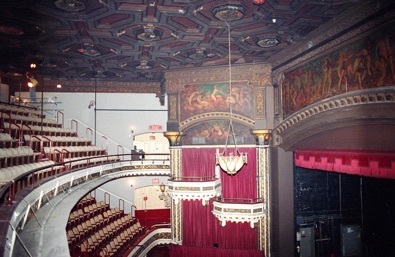 Unfortunately, over the decades the theatre’s interior and its décor suffered from years of neglect and ill advised repairs. 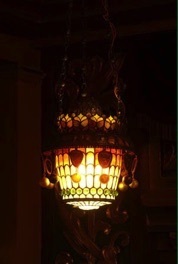 The original Tiffany opalescent lay lights were severely deteriorated and damaged; Most of the Tiffany chandeliers had been severely damaged, broken and some had been stolen over the years. 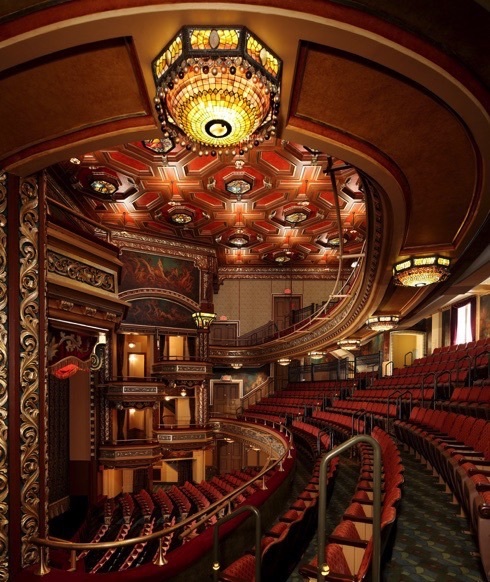 In early 2000, The Shubert Organization, (the theatre’s owner), embarked in a program to meticulously restore the theatre’s interior to its original beauty, in time for its 100th year anniversary. Our studio working with Femenella & Associates, restored the Tiffany lay lights and chandeliers and fabricated new chandeliers to replicate the ones that had been stolen. 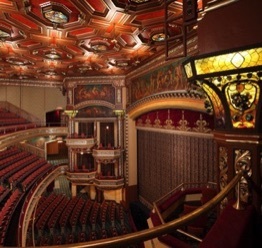 In 2010, the historic Belasco theatre was restored to its former grandeur.